A serious injury can change your life. From traumatic brain injuries that inhibit your ability to care for yourself to back injuries that leave you permanently disabled and more, when you are hurt due to the actions of another, you have the right to seek compensation for your losses. At The Law Offices of Alan Hildreth King & Associates, our Revere personal injury lawyer knows what you’re going through, and is here to advocate for you. Contact our law firm today for a free consultation. 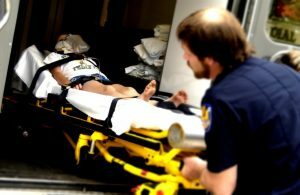 A personal injury case may be pursued when the wrongful or negligent actions of one party cause the injuries of another. At The Law Offices of Alan Hildreth King & Associates, our Revere personal injury lawyer is well-versed in multiple areas of personal injury law, and has handled vehicle accident claims, dog bite cases, medical malpractice suits, premises liability claims, product liability cases, pedestrian accident claims, slip and fall accident suits, and more. Negligence is the crux of a personal injury claim, and if you are unable to prove the negligence of the person against whom you are filing suit, you will be unable to recover damages. Negligence simply refers to the failure of a person to act in a manner that a person of ordinary prudence would. For example, it is negligent for a property owner to fail to shovel their walks following a snowfall, or negligent for a driver to speed or operate their vehicle while intoxicated. You must prove that the defendant acted negligently, and that your accident and injuries would not have occurred but for negligence. If you think that you have a personal injury case, it is important that you meet with a Revere personal injury lawyer as soon as possible. In fact, if you wait longer than three years from the date of your accident to file your personal injury claim, the state of Massachusetts will bar you from recovering damages. Filing a lawsuit and litigating when necessary. If you are hurt, do not wait any longer to pick up the phone and call our experienced Revere personal injury lawyer. We have the history of success you are looking for, and the compassion and work ethic your case deserve. Please get in contact with us today to schedule a free consultation – you can reach us by phone or online.